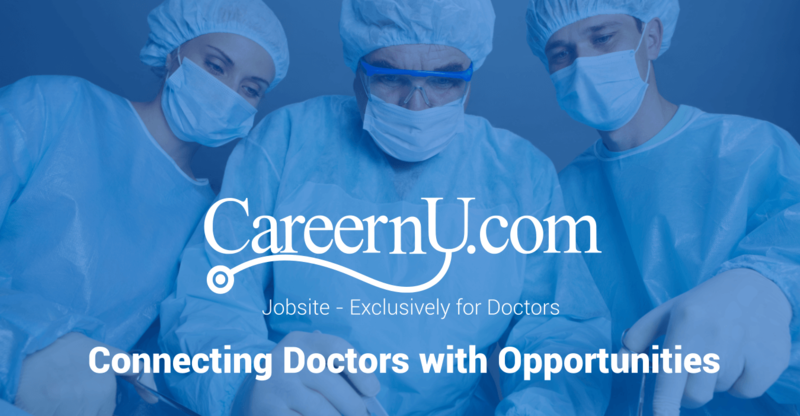 "CAREER n U" is one of the best medical recruitment agency connecting with today's doctors online. We provide expert Healthcare staffing services that is holistic and includes SuperSpecialist doctors,Specialist Doctors,DMOs,RMOs,Nurses,Lab Technicians and hospital administrators. We specialise in Specialist and Superspecialist Doctor Placement Services, across India. 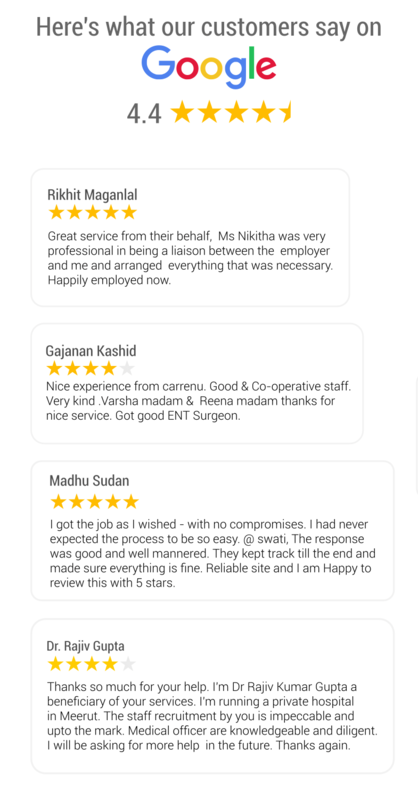 "CAREER n U" is one of the best medical recruitment agency connecting with today's doctors online. We provide expert Healthcare staffing services that is holistic and includes SuperSpecialist doctors,Specialist Doctors,DMOs,RMOs,Nurses,Lab Technicians and hospital administrators. We specialise in Specialist and Superspecialist Doctor Placement Services, across India.